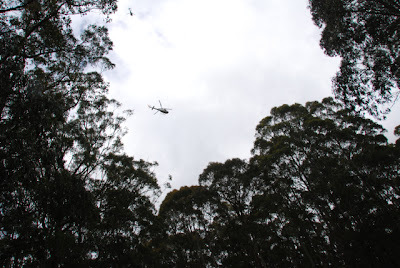 Two walkers were reported missing in the forest near Lorne on Tuesday 30 December 2008. 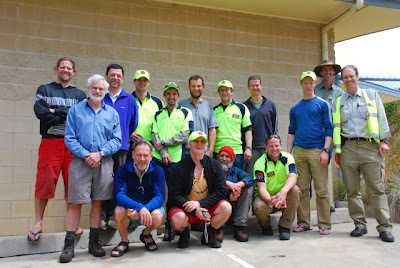 Fifteen Bush Search and Rescue members joined Police Search and Rescue, the SES and Parks Victoria on the search on Wednesday 31/12/2008. 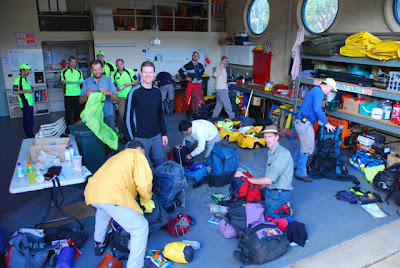 Our four teams deployed on their search tasks late on Wednesday afternoon, camping out for the night. We targeted a search area near where the walkers were last seen off the Mount Sabine Road. After an early start on Thursday morning, one of our search teams located a campsite the two men had vacated on Monday night and called the Police helicopter to the grid reference. The helicopter searched in the direction to the west indicated by the missing walker’s trail on the ground, and found them waving in a small clearing near their second campsite. The helicopter dropped an orange smoke flare at their location, which our teams used to locate the missing men, who were both in remarkably good condition. The closest team, BSAR1 who had found the first campsite, travelled about 300 metres to reach them. The missing walkers had taken the advice from local Police during an earlier mobile phone conversation and stayed in one place awaiting rescue. They had constructed a good shelter out of timber, leaves and tree fern fronds to keep warm and dry. They had only left the shelter to get water and visit the clearing when the helicopter was in the vicinity. After sharing some food and drink, three of our teams walked with them though the bush navigating back to the Sabine Falls Road to meet their waiting parents. Bush Search and Rescue would like to thank Parks Victoria for their assistance with vehicle transport, the SES and CFA for the use of the search base facility, and of course the Victoria Police for providing transport, radios and search coordination. The rough and difficult terrain of this search emphasised Bush Search and Rescue’s skills in remote area searching. All searchers are encouraged to participate regularly in training exercises to ensure their skills and equipment is up to date. Shirley McInnes was the Police Liaison Officer. Peter Campbell was the Field Organiser.